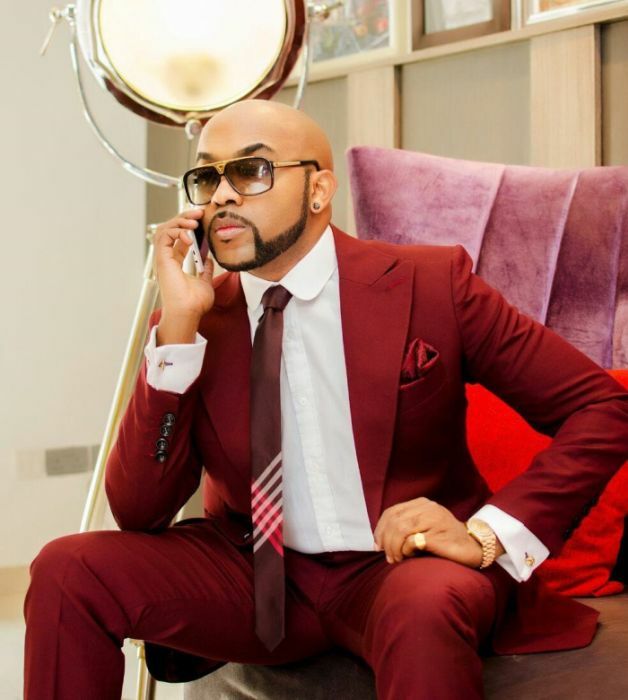 Olubankole Wellington better known by his stage name Banky W took to Instagram 2 months ago to announce his intention to serve as a federal legislator, representing Eti-Osa local government area of Lagos state in the coming 2019 election. 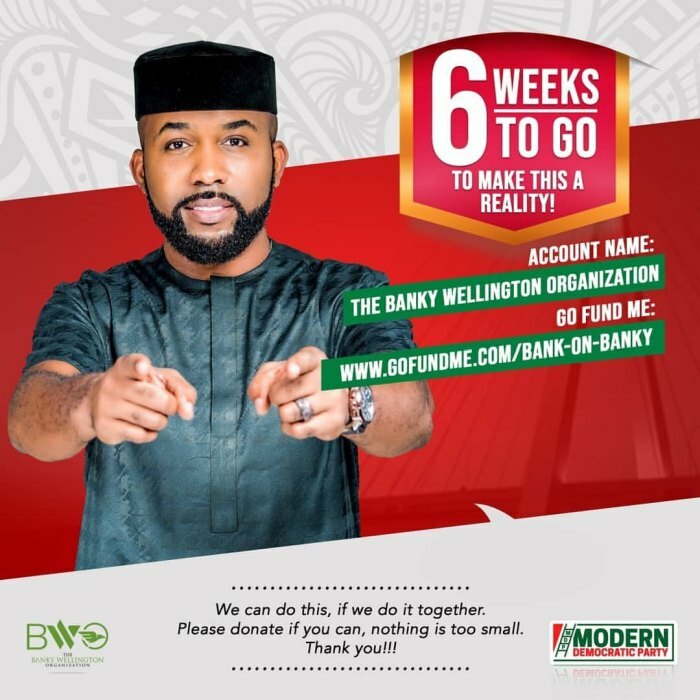 Singer Banky W, who is in the running for a seat in the National Assembly, has released details of how people can contribute financially to his campaign. ”For those that have been asking, please find the ways to make donations. You can do it in the accounts listed, or the GoFundMe account (link is in my profile). God bless you as you help us make this push” Banky W wrote this on Friday 11th January, 2019. Our logo has a ladder in it, because we recognize the need for our generation to climb out of the mess our country is in. We’ve redesigned the posters to focus on the MDP logo because that’s what you will see on Election day. So on February 16th, don’t just stay home. But also, don’t just vote in the Presidency and Governor elections either. Give us a chance to work for our community. Encourage someone you know in Eti-Osa to vote for the Modern Democratic Party. We can do this, if we do it together.